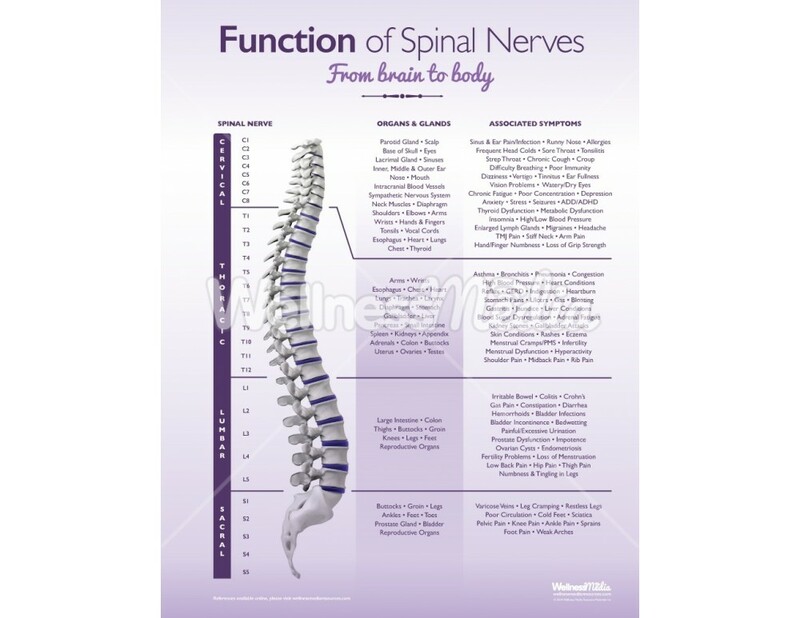 A handout sized version of our larger spinal nerve function poster. 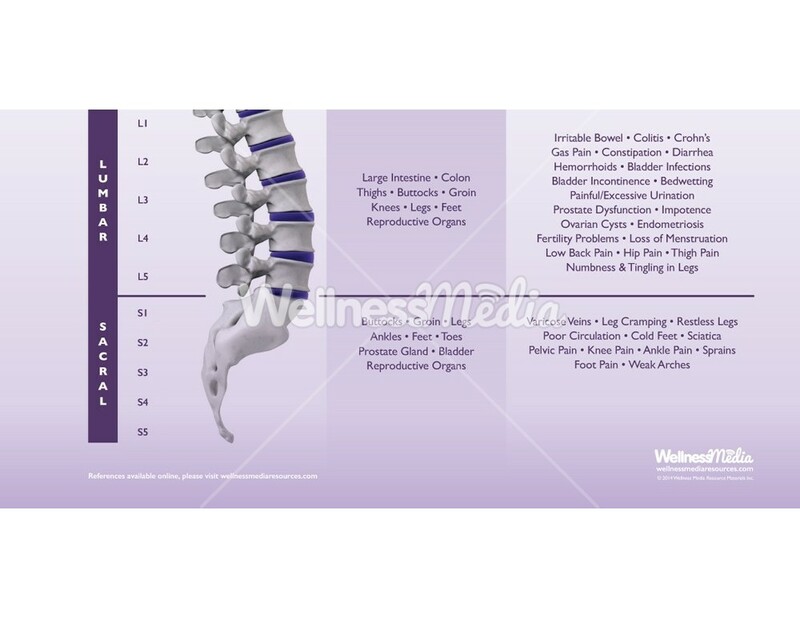 Each package of handouts consists of 50 individual 8.5 x 11 sheets, printed on high quality, thick paper. Also available in a report of findings version here. 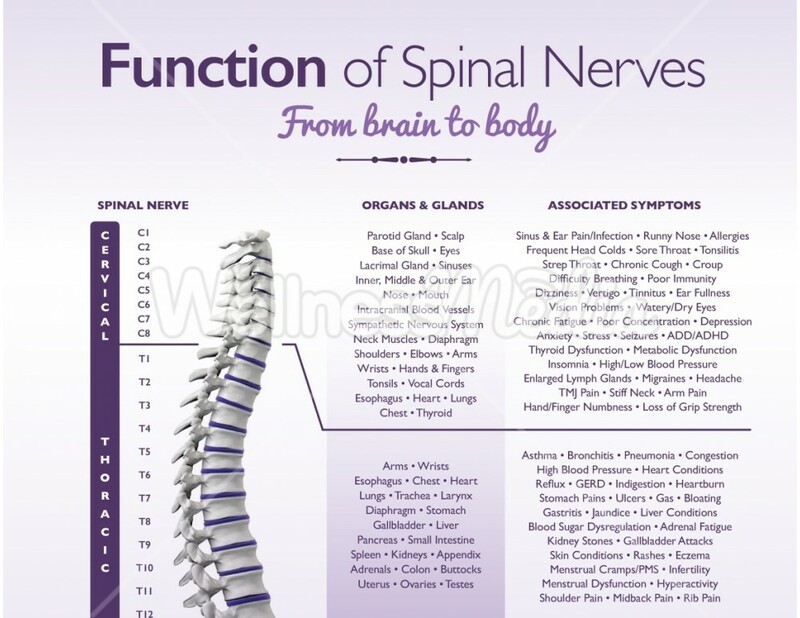 This clean, easy to read handout on the function of spinal nerves helps you convey the importance of spinal health, by relating nerve interference to possible dysfunction and symptoms throughout the entire body.